Horse racing culture throughout the UK is very vibrant when the big races come up. The sport may not match football or rugby as far as national attention is concerned, but when it’s time for a major competition, droves of fans get very excited about the goings-on. There’s a reason that some of these competitions are referred to as “festivals” rather than simply races. Undoubtedly a huge part of the sport of horse racing is gambling. Millions of pounds are bet on these different horse races each year increasing the excitement for racegoers. If you’d like to get involved with betting on horse racing but aren’t sure which are the best horses then take a look at The Winners Enclosure, they offer tips ahead of every big race festival so you’ll always have an idea of where to place your bets. However, betting is not the only attraction of horse racing festivals. The truth is that there’s horse racing in one fashion or another throughout most of the year, but right about now—heading into the spring season—the big ones are close to getting underway. Even at the time of this writing, it’s not all about the biggest occasions. Betfair’s horse racing section shows a busy lineup of races in the coming months, as well as a great deal of news and betting activity for each one. Each of these coming races keeps fans around the UK busy eyeing the status of the favourites and awaiting updates from prominent trainers and owners. But if you get the chance to attend one of the big races, you realise quickly that the anticipation and sporting intrigue of these occasions only makes up a small part of the culture. When you’re actually there, you find immediately that a lot of the culture comes from the atmosphere at the racecourses. 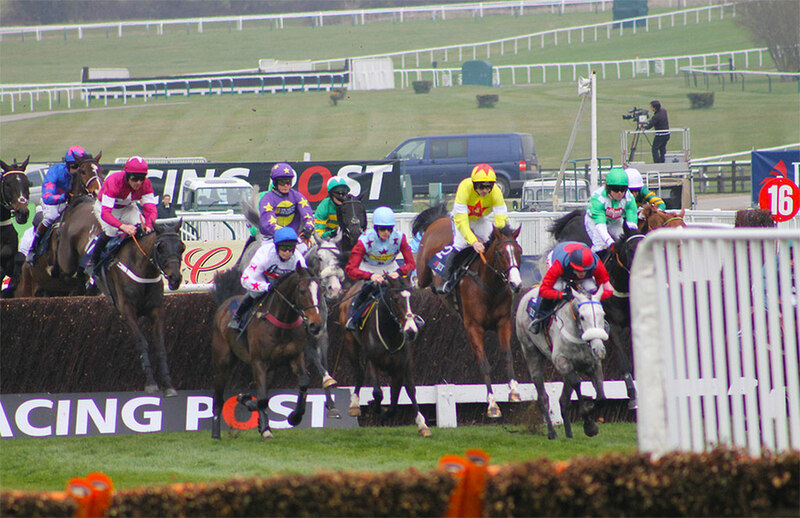 When it comes to major festivals like Cheltenham, the Grand National, and the Royal Ascot, this means large venues packed with great restaurants, cocktail and champagne bars, and plenty of areas for spectators to gather when they’re not actively watching races. At Cheltenham, there’s even a Guinness-sponsored “village”, where racegoers tend to let loose a little bit (particularly during the St. Patrick’s Day celebration that takes place on the third day at Cheltenham). All in all there’s just a genuine attitude of merriment that tends to prevail at these events. This attitude doesn’t come about purely as a result of food, drink, and enthusiasm, however. It’s well known by now that fashion also plays a very crucial role in establishing the atmosphere at major horse races. There’s a bright, vibrant look to horse racing fashion that’s become fairly easily recognisable over the years, though within some core concepts each big race has its own looks. Cheltenham, for instance, is often marked by a more rustic take on the carefree fashion of horse racing. This is in large part because the race takes place in mid-March when the weather in England can still be quite cool (not to mention damp). Not to miss out on one of the fun bits of attending races, the spectators still dress rather extravagantly, but there almost seems to be an unspoken competition to see who can best fit the season while still looking festive. The Daily Mail’s images of Cheltenham’s Ladies Day a year ago show some of the traditional featured hats, bright colours and noisy accessories typical of horse racing. But it also reveals several creative versions of warm outerwear (with fur coats and leather standing out in particular), as well as scarves and wraps. At the Grand National and the Royal Ascot as well as other races that occur a little later in the spring when the weather is warming up, we see more of an emphasis on the light, playful, and colourful nature of horse racing fashion that’s become popular the world over. The Grand National in particular inspires racegoers to embrace this sort of look, as shorter skirts and dresses, statement heels and glittering jewellery all tend to populate the event’s Ladies Day. 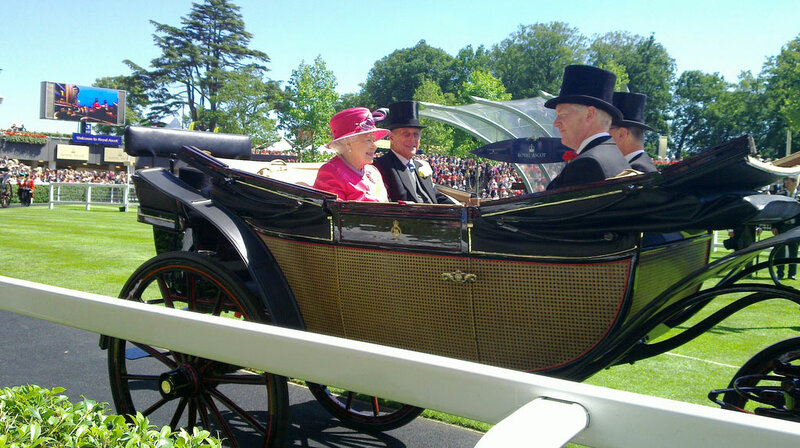 The Royal Ascot tends to take a more elegant spin on the same general image, as the most formal of the big spring races. Altogether the name of the game is expression. People attend these races to dress up for fun, try bold looks that don’t always fit in to everyday life, and enjoy a festive atmosphere over a long weekend. The activity surrounding the actual races is a blast, to be sure, but it’s the culture of it all that’s the real draw.